Peggy Snow. “Under the Bridge”. 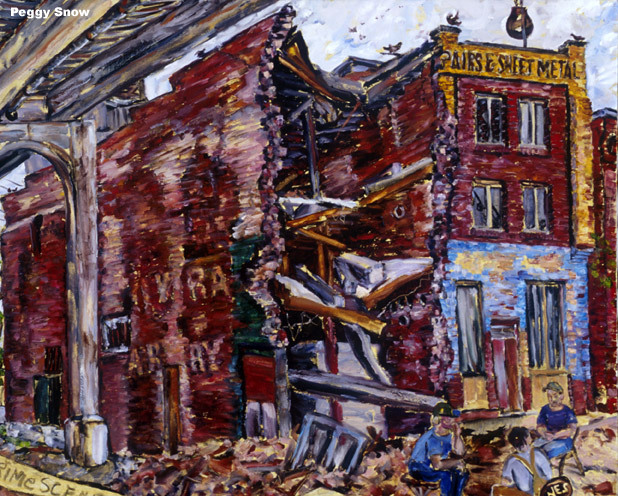 2002 oil on canvas 24"x 26"
On 2nd Avenue, Historic district in downtown Nashville, the collapse of one more old building was a true loss. Now a parking lot.